Rob Lawrence and Karen his wife have been working with Great White Sharks from 1992 which was at the beginning of the industry. Then they were based in Gansbaai where the whole industry started and in 1996 they moved to Simons Town and started running trips to Seal Island in False Bay. 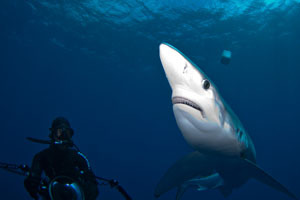 During the summer months the operators do not have permits to follow the sharks migratory path along the coastline but then they run trips off Cape Point to cage dive with the Blue & Mako Sharks. Rob Lawrence and Karen his wife have been working with Great White Sharks from 1992 which was at the beginning of the industry. Originally based in Gansbaai, they moved to Simons Town and started running trips to Seal Island in False Bay in 1996. During the summer months when the sharks migrate along the coastline, they run trips off Cape Point to cage dive with the Blue & Mako Sharks. The boat ‘Blue Pointer’ is a custom made Cat, built specifically for shark diving. There is plenty of space to move around and a top deck to view the sharks for the non-divers. The boat is stable and has a smooth ride, has a toilet on-board and a cabin. A full briefing is given regarding the safety procedures in an event of an emergency as well as the predicted weather conditions. The cage is made from galvanised steel and is attached to the side of the boat for the cage diving. The cage takes up to 3 divers at a time and if requested air can be used via Hookah system (long hose). 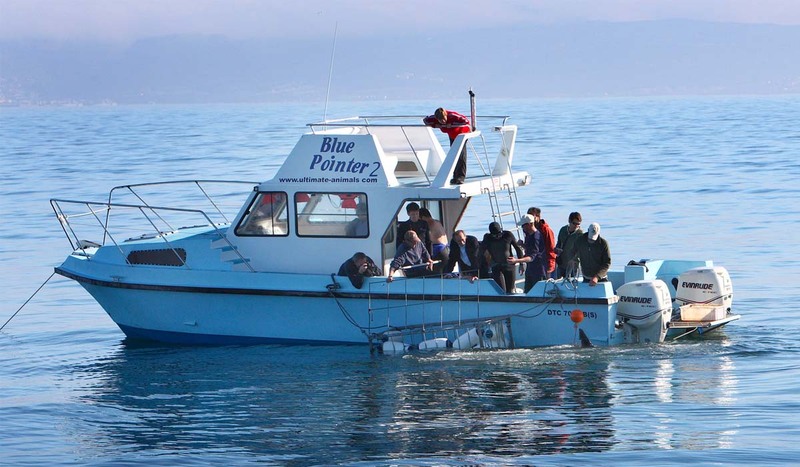 Join African Shark Eco-Charters in an exciting trip to Seal Island in False Bay. Witness Great White Sharks launching out of the water when hunting the many Cape Fur Seals that travel too and from Seal Island into the deep fishing waters off Cape Point. The Great White Shark expeditions at sea start just before sunrise and the boat reaches the island just as the sun is rising. It is at this time when the sharks are most active in the day predating on seals. We will look for activity on the surface with seals frantically avoiding something underwater and seagulls above making a noise. 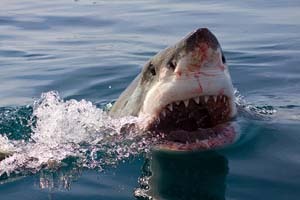 If we are lucky we will be able to witness a Great White Shark launch out of the water trying to surprise a seal. 06:45 – Meet at Simonstown Pier where you will board the boat. 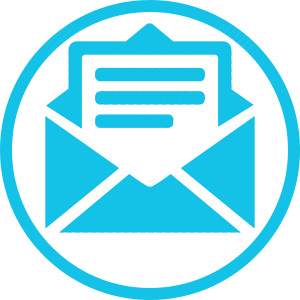 You will receive your safety briefing detailing the overview of what the trip entails and what is to be expected. 7:00 – The boat will head out to Seal Island. (About 20-30 minutes away). 7:30 to 12:30 – The first 2 hours of the trip is spent patrolling the waters around the Island looking for shark predation activity. After a couple of hours and the sun rises the fake seal will be deployed behind the boat. We will then sit and watch in anticipation to see if a Great White launches out of the water on the fake seal. If we are lucky then we will have a few attempts on the trip and once you see it you will never forget the amazing spectacle of seeing this massive animal bursting through the surface of the water and becoming airborne only meters behind. Following the breaching and predations, the boat will anchor at the Island and then start chumming for the sharks for the cage diving. This is not the primary focus of the trip and 30 minutes per dive is spent cage diving to finish off an all-around excellent trip. 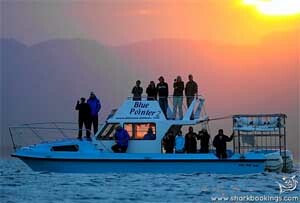 For those who do not want to cage dive then the upper deck offers stunning views of the sharks from the boat. 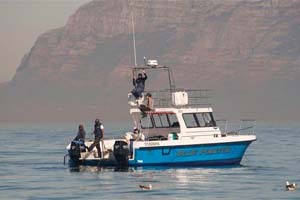 12:30 – The crew pick up anchor and head back to Simon’s Town harbour. This may be earlier depending on shark and weather conditions. 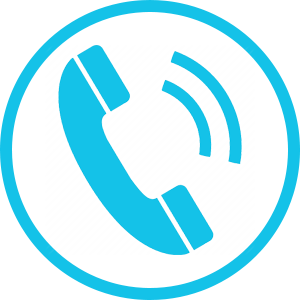 12:30 Onwards – Payment is made after the shark trip at the bookings office. Complimentary coffee is offered as well as a discount at Harbour view restaurant should you wish to have some lunch. Light lunch consisting of sandwich rolls, fruit juice, bottled water, fruit, coke, crisps, sweets and chocolate. We have a very high success rate, however with all wild animals, shark sightings, activity, predation activity and breaching can vary from day to day, and even during the height of the peak season, there may be days when we do not see any breaching or predatory events. Please be aware of this, so you do not arrive with unrealistic expectations. Rather come hoping to see these natural events, than expecting. 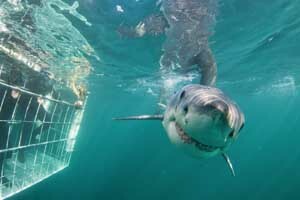 During our afternoon trip, you will be able to see the Great White Sharks up close and personal from the boat and diving in the cage. The boat goes straight to the Island, anchors up and then the cage is dropped into the water. 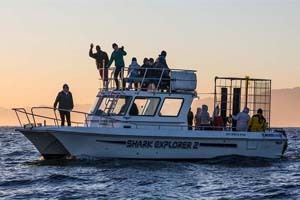 The afternoon focusses on cage diving and viewing sharks close to the boat. This dive is excellent for non-divers or not very experienced divers who want to see Blue & Mako Sharks. The dive takes place 20-40km out from Cape Point in the warm Agulhas current. The visibility is normally excellent and sharks plentiful. The crew bait the water and then we will have to wait until the sharks catch the scent of the chum slick. There are no reefs to reference as this is very deep water and it can take only a few minutes to a few hours to attract some sharks to the boat. Once the sharks have arrived the cage is dropped into the water and then cage diving commences. The trip lasts approximately 6 hours and is a great all round trip with the possibility of also seeing Whales, Dolphins and a vast array of birdlife.